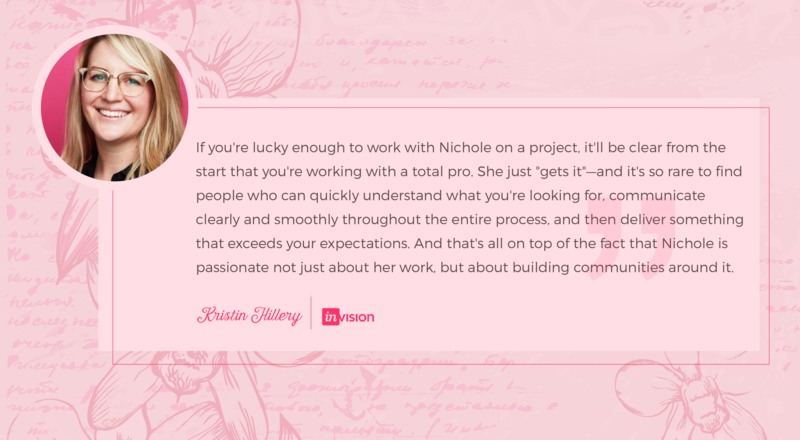 If you’re lucky enough to work with Nichole on a project, it’ll be clear from the start that you’re working with a total pro. She just “gets it”—and it’s so rare to find people who can quickly understand what you’re looking for, communicate clearly and smoothly throughout the entire process, and then deliver something that exceeds your expectations. And that’s all on top of the fact that Nichole is passionate not just about her work, but about building communities around it.